Only an hour and a half north of the Georgia-Florida state line, Savannah usually gets bypassed, ignored by millions of travelers every day as they rush-rush-rush along I-95, hoping to reach their destinations as quickly as possible. Maybe it’s an American thing, focusing on the goal so much that you forget to take the time to enjoy the journey. Let's be honest: Too many deadlines are self-imposed. Case in point: Our recent trip to Charlotte, North Carolina to celebrate a holiday with friends. Our plan was to drive straight home after lunch the next day. We always share the driving so 9-hour drives are no big deal to us. But then we thought about it. What’s the rush? Would the world really end if we were to take an extra day to get home? We recalled all those times over the years that we had said “We should visit Savannah” as we sped along the interstate. When, if not now? Is Savannah worth a day trip, or not? Exit off of the speeding interstate and you’ll find that Savannah is the antithesis of rush. 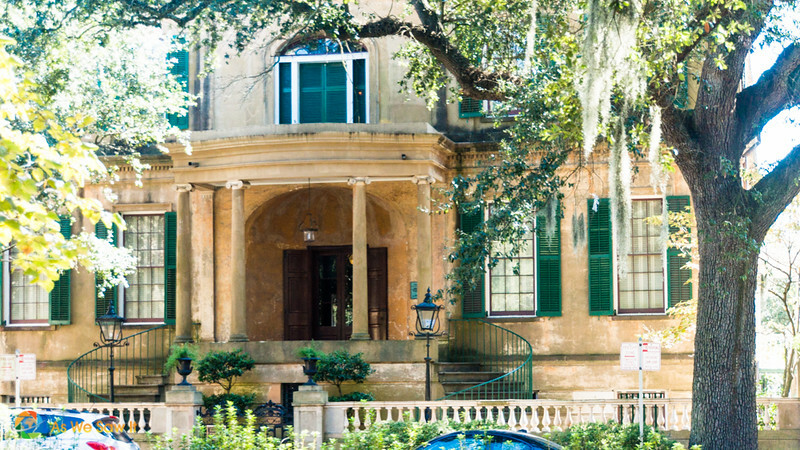 This colonial Grande Dame is a slow, Southern drawl of a city, with canopies of tree branches shading its streets as they drip miles of lacy Spanish moss from their branches. 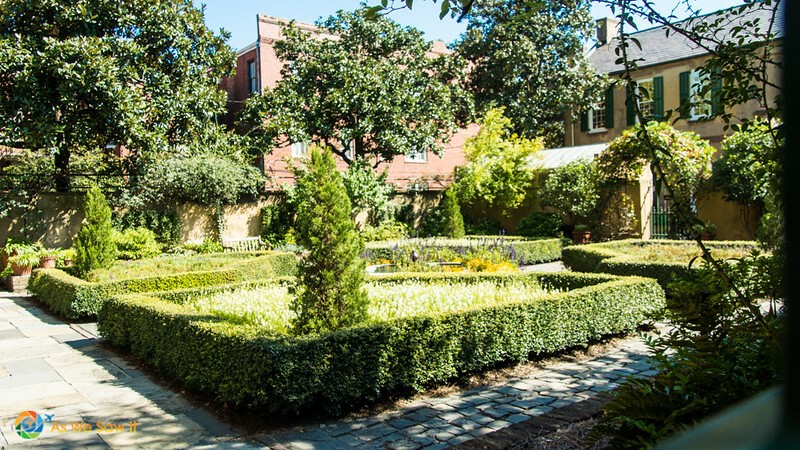 Its historic district is renowned for its beauty, peppered every few blocks with a lush miniature park that just begs visitors to “set a spell.” Indeed, no one, local or visitor, seems to hurry from place to place here. Each of the city’s squares (22 to be exact) is different, named for a notable person and surrounded with historic homes that are just as unique and just as enchanting. Some of the squares have fountains, others have statues, but they all have benches. Plenty of people accept the benches’ unspoken invitation every day, enjoying the cool shade and watching frolicking children, as birds chirp overhead and horses clop-clop around the square. We were no exception and you won’t be either. It will take two pages, but I’ll be your virtual tour guide on this Savannah walking tour itinerary and show you why. It's pretty obvious that the best place to get accurate information is at its tourist center. Besides plenty of brochures and tips, a map of the main attractions is nearly always available, free of charge. The Savannah Visitor Center is really easy to get to from the interstate. We arrived at 10:30 on a Sunday morning – later than we had planned – and left our car in the parking lot. Then we went inside to get our map and use the rest room before setting out. 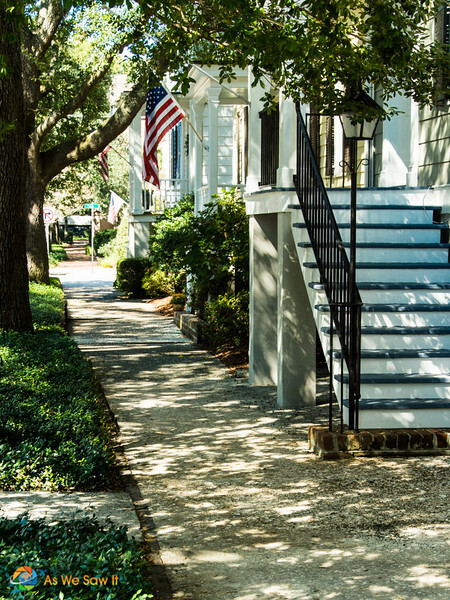 Tip: Visit Savannah on a weekend for less traffic and free parking. 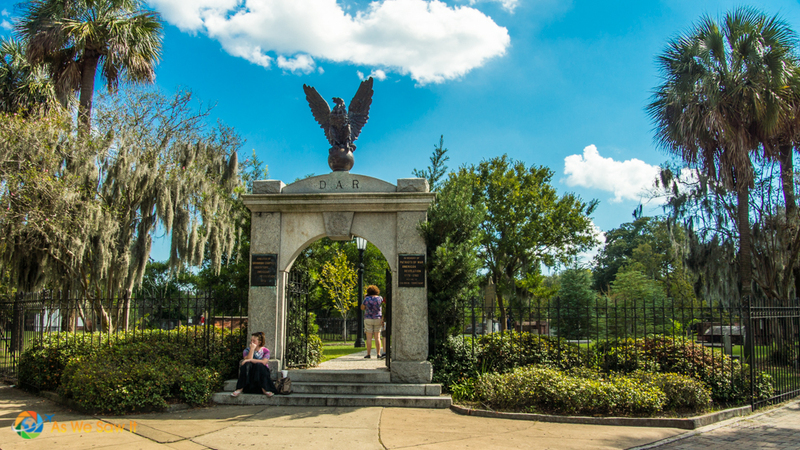 Savannah is full of historical sites, and probably most of them are worth touring. However, with such a limited time we agreed that it would be wiser to spend it in exploring on foot and just soaking up the city's ambiance. Anyway, besides enjoying ourselves in a someday-we-have-to-go-there place, our main goal was to give you, dear readers, some options so you can enjoy yourselves too. Yeah. We rarely go anywhere without this website in mind. We want everyone to catch our travel bug. 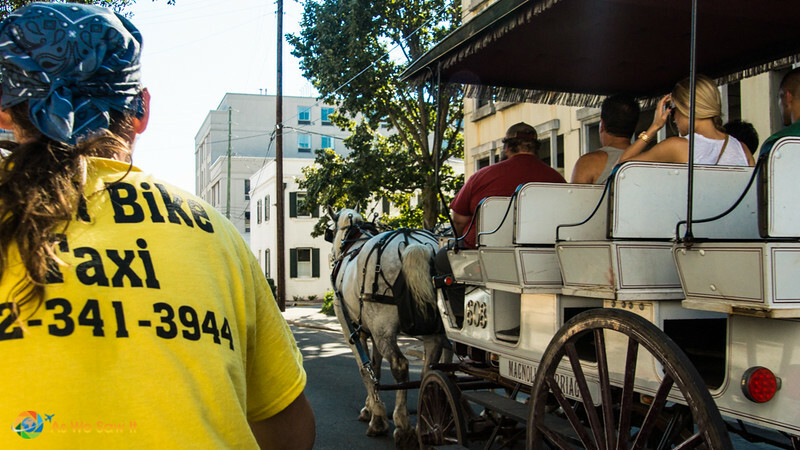 With $5 invested in a walking tour book at the Visitor Center's gift shop, we set out on a tour that promised to take us through half of the Historic District in an hour and a half. In reality, it took longer because Dan had his camera, and Savannah is chock full of beautiful things. By reader request, here is an Amazon link to the book we used for this walking tour. The author has done her research and shares far more information than you will read in our article. Her book includes other Savannah walking tours as well. Looking back, the biggest mistake we made in trying to see Savannah in one day was in not reading up on all the Savannah attractions beforehand. It would have made our walking tour that much easier. for another, it would have helped us avoid stopping all the time to read about what we were seeing. As a city, Savannah is one of a kind. It was laid out in 1733 by General Oglethorpe. The basic idea was to set up an easily expandable grid system: four open squares, each surrounded by four residential blocks and four civic blocks. Anyone who walks through the historic district will agree that the original plan (now known as the Oglethorpe Plan) was absolutely brilliant. History oozes from every block of this city. 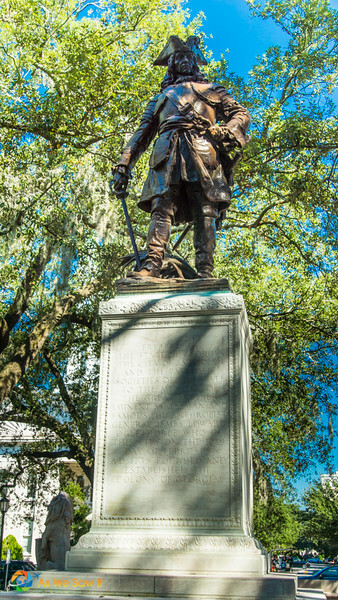 Most of Savannah's squares are named in honor or in memory of a person, persons or historical event, and many contain monuments, memorials, statues, plaques and other historical mementos. Read on and you'll see what I mean. Tip: Maintaining these sites is costly so the historic sites and museums charge admission fees. Budget roughly $10 per ticket. If you want to visit a few homes or museums, ask about combination tickets; they can offer considerable savings. Be warned, though: photography inside these buildings is often not permitted. Only a few short blocks away was our first stop: Orleans Square. It was laid out in 1815 and commemorates General Andrew Jackson's victory in the Battle of New Orleans that year. 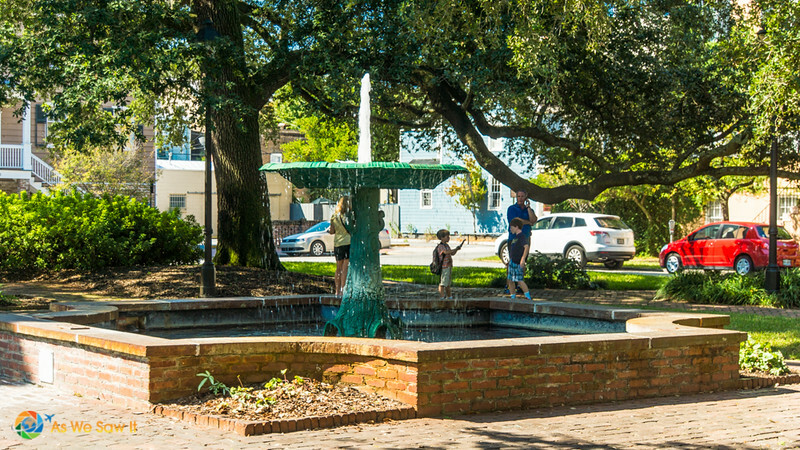 The fountain in the center of the square honors early German immigrants to Savannah. With four two-story-tall Corinthian columns in front, the Harper Fowlkes House (aka Cincinnati House) is hard to miss. Its dramatic portico was copied from the Temple of the Winds in Athens, Greece, which I’d guess is why many people consider it to be one of the most unusual homes in the city. It is now open to the public. Chippewa Square was named for the Battle of Chippewa in the War of 1812. 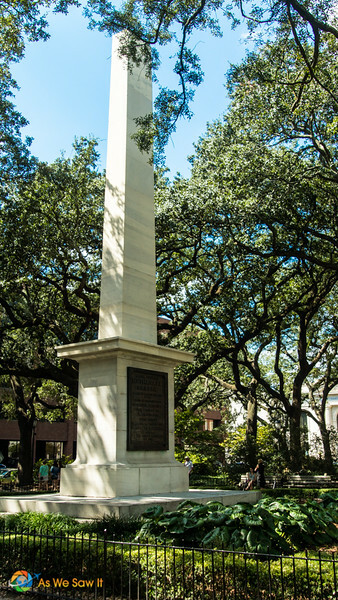 In the corner of the square is a monument to James Oglethorpe, who founded Georgia in 1735 with the following rules: No hard liquor. No slaves. No Catholics. No lawyers. As you may have guessed, none of the rules stuck. A shame, particularly that last one, haha. 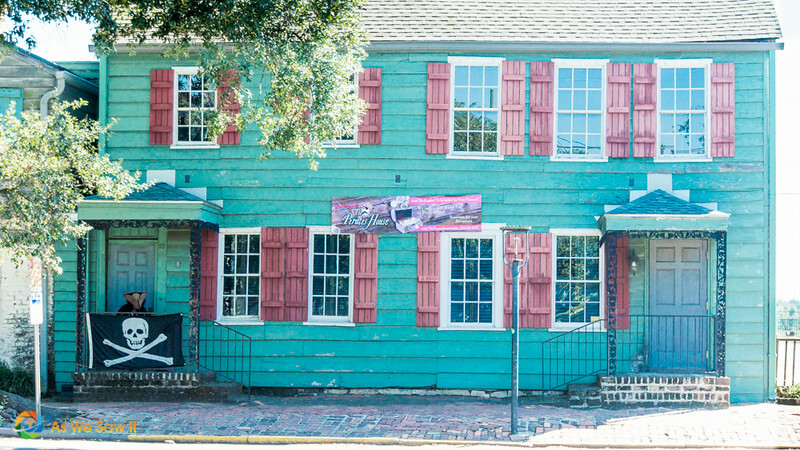 The square is known for its nightlife and entertainment, partly because of the Historic Savannah Theatre. The Savannah Theatre is the oldest theatre in the United States and still produces shows nightly. 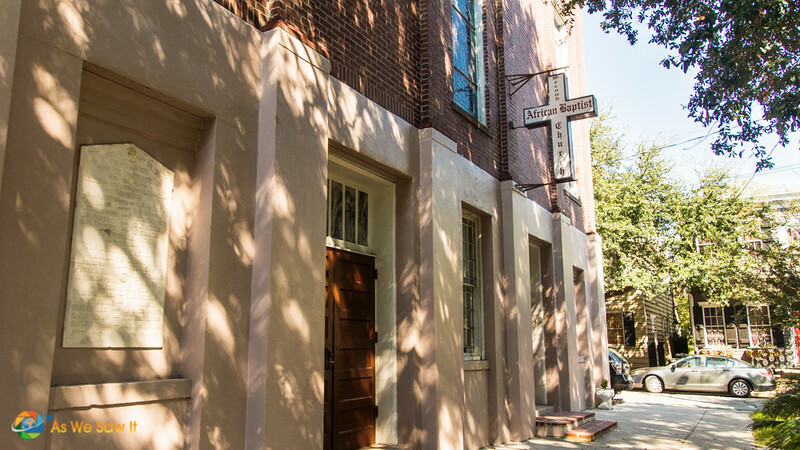 Nearby is the First Baptist Church, the oldest church building in Savannah, which welcomed troops from both sides of the conflict during and after the Civil War. For some people though, Chippewa Square’s biggest claim to fame is that this is where Forrest Gump sat while eating his box of chocolates and telling his life story to anyone who would listen. (The bench was located on the north edge of Chippewa Square Park, at the corner of Hull and Bull Streets.) While the scene was being filmed, they rerouted the normally counterclockwise traffic so that passengers could step off in front of the bench. Sorry, guys, but there’s no bench there now. Tip: If you want to see the actual bench from the movie, you’ll find it in the Savannah History Museum. It was actually just a film prop. The bench has been replaced by a small garden. From Chippewa Square we walked down Bull Street past Juliette Gordon Low’s birthplace. 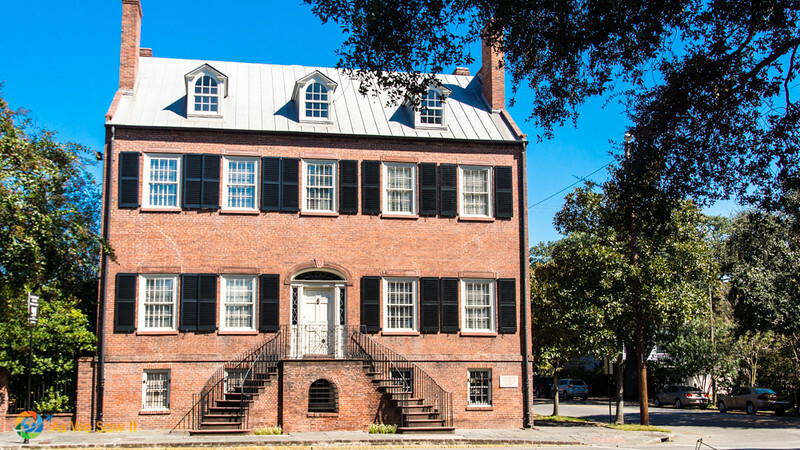 The house was one of the first house museums in Savannah. We didn’t stop in but having been there before I can say that if you’re interested in historic homes, it is well worth your time. Also, if you were a Girl Scout, you should also visit the Andrew Low House, which is where she later lived. 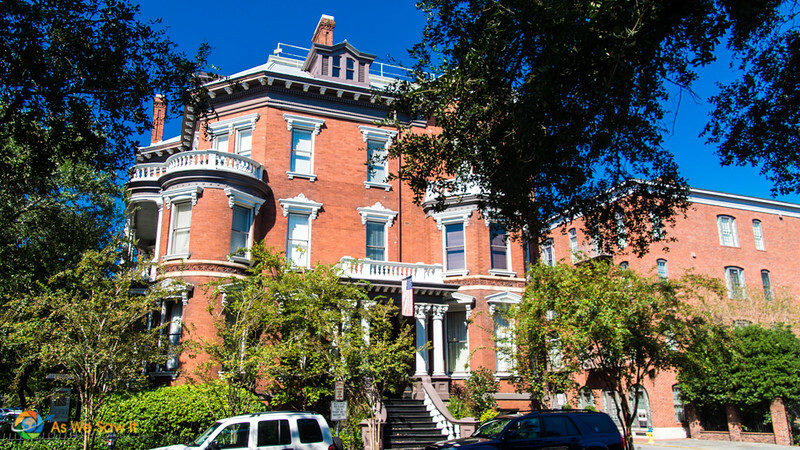 Tip: If you have the time and interest, consider buying a Pioneers in Preservation Pass, a multi-site ticket which includes admission to the Juliette Gordon Low Birthplace, Davenport House and Andrew Low House. Pioneers in Preservation Pass is available at any one of the three museums for $21. We quickly arrived at Wright Square, the square where the courthouse has always stood. A simple granite memorial stands in one corner as a tribute to Tomochichi, chief of the Yamacraw tribe, who became a good friend of General Oglethorpe and offered peace and cooperation with the settlers. This was his original grave site, but sadly, his bones were removed in order to erect a statue to William W. Gordon. You can see the statue in the center of the square. Gordon brought immense wealth to Savannah by constructing a railroad which brought cotton into Savannah’s wharves from distant plantations. William Gordon was grandfather of Juliette Gordon Low. Turning onto York Street, we found Owens-Thomas House at the next square. Our guide book said that architectural historians consider the building to be one of the finest examples of English Regency architecture in America. If you visit, you can also see the slave quarters in the carriage house, which contains items that were constructed and used by slaves. If you don't, you can still peek through a gate to see the home's beautiful garden. Before our next stop on our tour we detoured to walk through nearby Colonial Park Cemetery, used from 1733-1850. It's now a peaceful city park. The most famous person buried at Colonial Park Cemetery is Button Gwinnett. He signed the Declaration of Independence. We saw a pile of headstones along one wall. The explanation: When General Sherman's troops camped there during the Civil War the soldiers found a unique form of entertainment: altering and moving gravestones. That pile is of the ones they could not relocate afterward. My tour book said that some of the dates now show that someone died before he was born! Wonder where the actual graves are for all these piled headstones? So do we. There’s a fountain in the center of Columbia Square, the next square on York. It came from a nearby plantation that was owned by the wealthiest man in Georgia colony. This simple metal fountain came from Wormsloe, a plantation near Savannah. Standing nearby is Kehoe House, an 1892 Renaissance Revival mansion that was built as a residence for William Kehoe, his wife, Anne, and their ten children. Mr. Kehoe operated an iron foundry and when the house was built many of its details were made of iron. It has been exquisitely restored and is now a luxury bed and breakfast. Listed on the National Register of Historic Places, each of the 13 guest rooms is appointed with elegant furnishings and antiques. No wonder guests have to be at least 21 years old to stay there. Another remarkable house on the square is the Davenport House, which is open to visitors. It boasts some of the finest wrought iron in town. Even if you don’t go inside, look for the dolphin downspouts on each corner. Also check out the third step on the front staircase: there’s a boot scraper placed below a heart! Tip: The Davenport House is included in the multi-site Pioneers in Preservation Pass (see above). 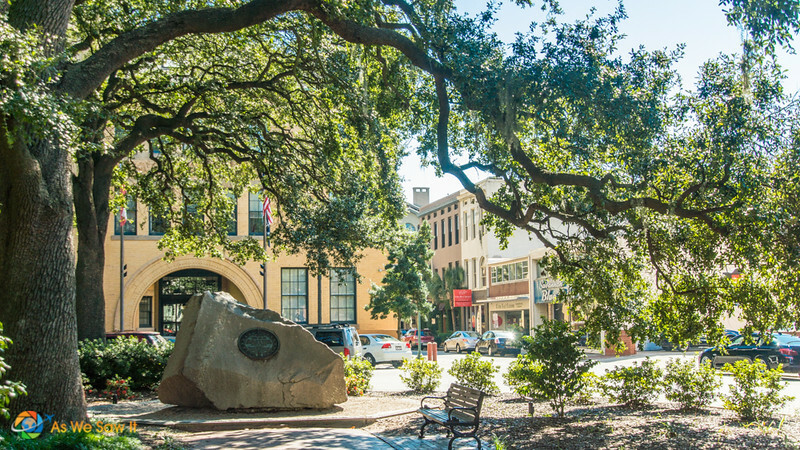 Greene Square was once the center of Savannah's African-American community. On one of the adjacent lots is Second African Baptist Church. It was here that General Sherman read the Emancipation Proclamation and promised the newly freed slaves “40 acres and a mule.” A century later, Dr. Martin Luther King, Jr. stood here as well, and practiced his famous “I had a dream” speech before delivering it in Washington, D.C.
— including mulberry (for silkworms), hemp, olives, and indigo — were unsuccessful, but the peach trees prospered. Yep, that's the story behind those famous Georgia peaches. By the way, as you walk around town you may notice the paving material, called “tabby.” Tabby was often used for both roads and buildings. It is a resourceful mixture of oyster shells, lime, sand, and water. Walk to the end of Houston Street and look across Broad Street. The weathered building is the Pirate’s House, which began as an inn for visiting seamen. Pirate’s House was an inspiration for Robert Louis Stevenson as he wrote Treasure Island. Indeed, Savannah is mentioned in the book more than once. Now a restaurant, it has a shady history because, according to legend, a tunnel ran from the cellar to the river. Patrons of the tavern were given strong drinks and when they passed out they were carried, unconscious, to ships waiting in the harbor. When they awoke, they would find themselves at sea on a strange ship bound for a port half a world away. Seems to me, though, that if there really is a tunnel under the city, there would be a tour or something. Wouldn't you think? Warren Square was named for General Joseph Warren, a Revolutionary War patriot. He had been President of the Provincial Government of Massachusetts and was killed in the Battle of Bunker Hill. Several of the homes there were completely restored in the 1900s, but not all. A double house on the south side of the square was built in 1998. We followed St. Julian Street to get there. This street has some of the oldest houses in the Historic District (from the 1700s). You can tell it because the architecture is completely different. Want to buy a house? These are for sale in Historic Savannah. This square was named for Capt. John Reynolds, governor of Georgia in the mid-1750s. 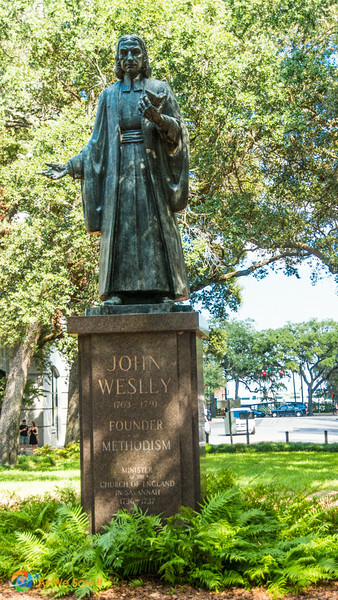 The bronze statue in the middle honors John Wesley, founder of Methodism. 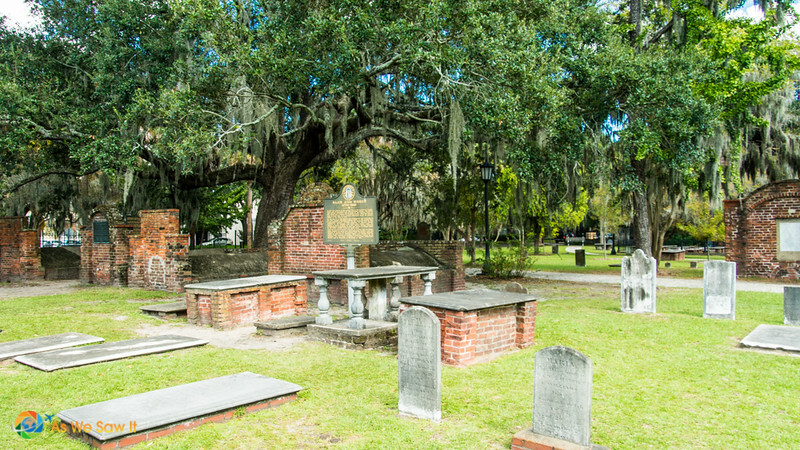 Wesley spent a few years in Savannah (1735–1738), during which time he founded the first Sunday school in America. He is shown preaching outdoors, just as he did when leading services for Native Americans. Had it been open, Dan and I would have stopped for lunch at the Olde Pink House. Thanks to surviving a devastating city fire in 1796, it is the only surviving 18th century mansion. It earned its name because the soft native brick began to bleed through the white plastered walls, and the Habersham house turned Jamaican pink. Even though it was closed, they let us take a look around. We shot as many photos as we wanted of the atmospheric dining rooms. I have to say that for such a pleasant ambiance I was surprised at how affordable the menu is. The chef was very creative with the menu options and is very willing to cater to special dietary requests, such as sugar- or gluten-free. Woo-hoo! Remember Greene Square, named after Nathanael Greene? This is where his and his son’s remains are buried. The obelisk in the center of the square is a memorial to the general. Also on Johnson Square are two fountains, as well as a sundial dedicated to Colonel William Bull, the namesake of Savannah's Bull Street. Bull surveyed Savannah’s original street grid. At this point we decided to take an intermission from seeing the remaining squares. We headed toward Savannah's picturesque waterfront to take a stroll along her famous Savannah Riverwalk. 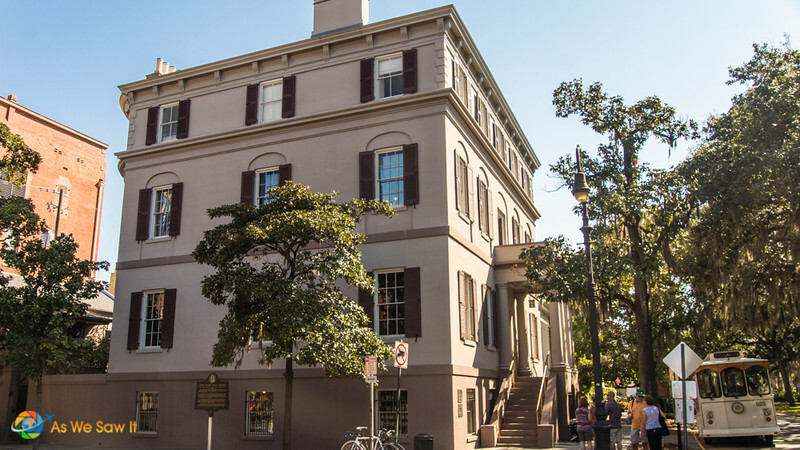 Due to the length of this article, our Savannah Walking Tour has been broken into two parts, This link will take you to Page 2. You don't want to miss Savannah's famous Riverwalk! For more photos of this beautiful city, see our Savannah photo gallery. 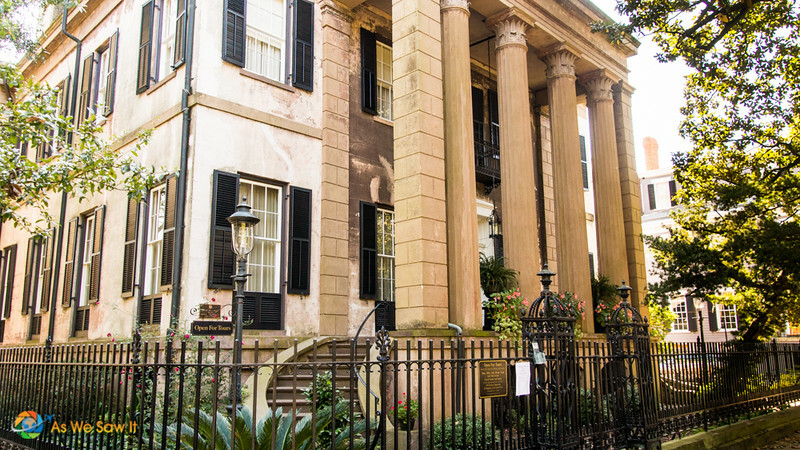 This walking tour was based on the book, A Self-Guided Tour of Savannah by Maryann Jurkofsky. >>> Read more: This tour itinerary continues on Savannah Riverwalk. Excepting the hop-on/hop-off and bicycle taxi tours, most of the other organized tours last for about 1½ hours. Prices vary, but if you budget $25 per person, you’ll be safe. Many of the tour companies offer discount coupons in tourist brochures and magazines. Find them at the Georgia Welcome Center, many highway rest stops and Savannah Visitor Center. Ask a ticket agent to honor a competitor's and you may be pleasantly surprised. We recommend using either Booking.com or TripAdvisor to make your lodging arrangements. You can check prices and ratings and read reviews before you book. Very reassuring. DeAnna, we’d love to help but we don’t know of any Wyndham properties in Savannah’s historic district, just the ones along the highway. We suggest calling their 1-800 number and ask if they have any new hotels in the historic area. If they don’t have a property that fits your needs, you can check Booking.com and read the reviews. We’ve had good luck with that site – we use it a lot. Do you remember the book you used… also how long would you allocate … i know it said an hour and half, but based on your experience would you allocate more? Thanks for asking about the book, Lauralee. It was just the incentive I needed to seek it out and insert it into the story. I was happy to find it on Amazon…at the same price we had paid at the Visitor Center. We think it would be pushing it to expect to see everything in an hour and a half. I’d allocate at least 3-4 hours at a minimum, not counting break times for shop browsing, eating and resting your feet while people-watching. And of course, an hour or two of extra time if you decide to check out Savannah’s historical cemeteries; they’re quite beautiful and not at all depressing. What a great review and guide! Thank you for taking the time to do such a thorough and interesting job on this! Glad you enjoyed it, Jocelyn. 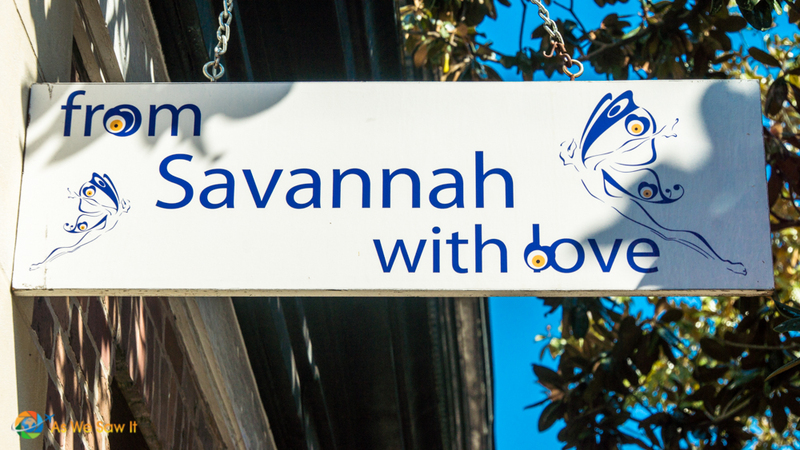 Have you been to Savannah yet? Thank you. 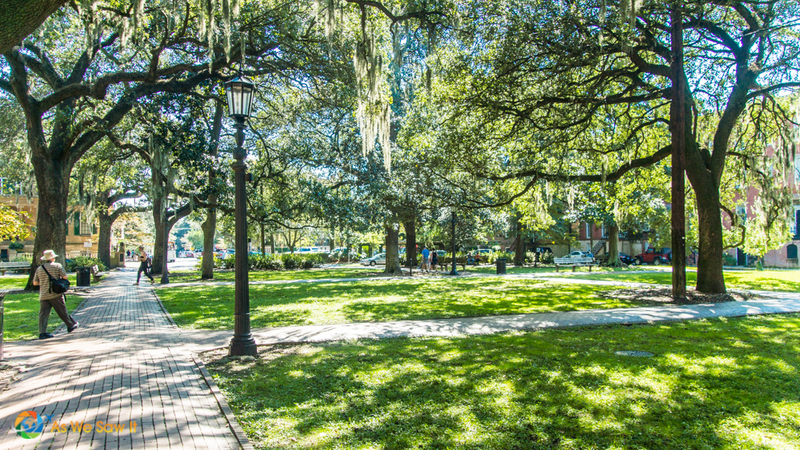 We agree: Savannah is beautiful. I don’t know of any other city quite like it. I hope you will be able to see it yourself some day, Shahid. Move there? That would be totally amazing! 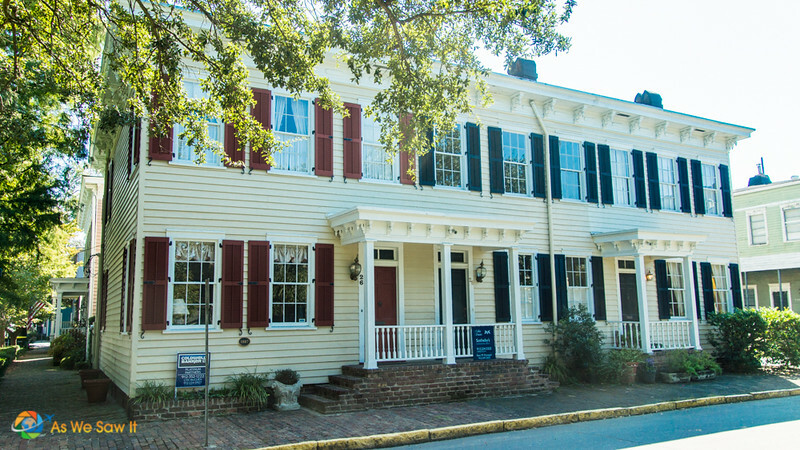 Have you also visited Charleston and St. Augustine? Those are fascinating too! We are also guilty of bypassing Savannah on our road trip in January. From your description though it sounds similar to Charleston, which we really enjoyed, but due to the polar vortex we froze and cut our visit a day short. Now that we’re based on the east coast, maybe we’ll get down south again and we’ll make a point of visiting Savannah. Have you read the book, “Midnight in the Garden of Good and Evil?” It’s set in Savannah, a good read! The statue on the cover of that book was a marker in Bonaventure Cemetery … I’ll cover our visit in Part 2 on Monday. Sadly, it’s been moved to a museum, so Dan wasn’t able to create his own dramatic shot of it while we were there. You’re very right. It’s the perfect place for wandering if you’re a photographer. Dan had a blast.